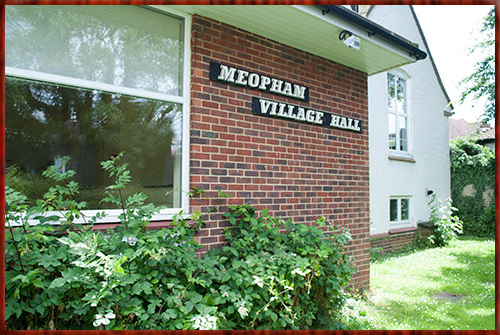 Welcome to Meopham Village Hall. The re-tiling of the roof has finished (at last, I hear many of you sigh), and within budget. It does now look quite smart, and we were encouraged to see the retention of the recent light snowfall on it, indicating that the thermal insulation incorporated is having benefits, which should be ongoing. Our thanks to users for their understanding during the works, and to all having contributed to this essential project, which we hope will see the hall weathered through a further 100+ years. The prize draw for those having made a financial contribution to the works should be made in March, and the winner duly confirmed – assuming they do not request anonymity. 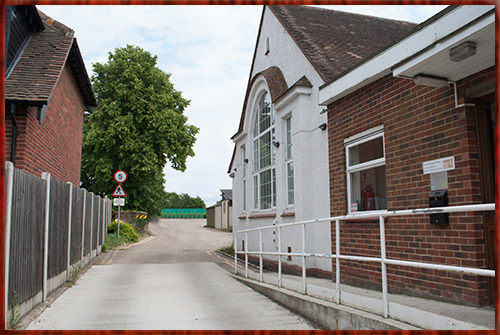 Welcome to the web site of Meopham Village Hall. Situated along the Wrotham Road (A227), Kent, the hall is ideal for private functions and events, offering a wide range of facilities all under one roof. Showing the original main hall and the later small hall.